Abi Ellis, UK executive creative director at Wunderman Thompson, has resigned from the WPP agency after a disciplinary investigation. The probe, first reported by Campaign in December, was triggered after a colleague made a complaint via WPP’s confidential Right to Speak helpline. Peugeot has appointed Steven Wass as its UK marketing director after Martin Moll left the business in December, just three months into the role. The French carmaker declined to comment, while Moll did not respond to a request for comment at the time of publication. JCDecaux is promoting Chris Collins and Dallas Wiles to joint UK chief executives as Spencer Berwin and Philip Thomas step down. Berwin and Thomas, who have led JCDecaux UK since 2016, will depart at the end of March and become non-executive directors. 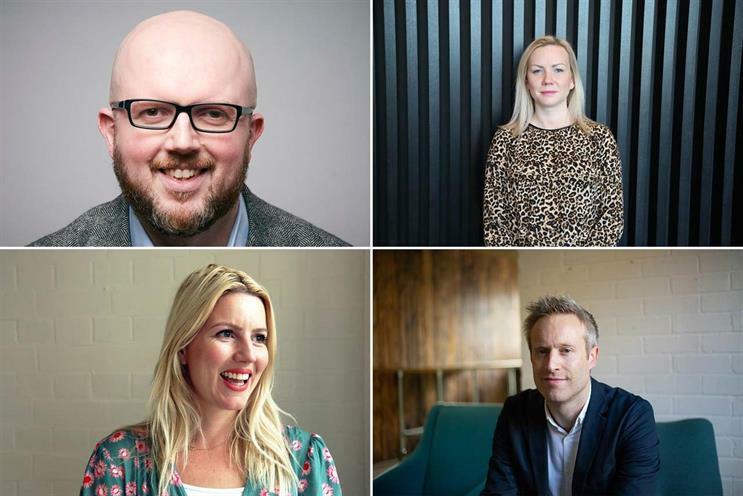 Digitas has appointed Havas UK’s Matt Holt as UK chief strategy officer, completing the London agency’s new leadership team. Holt joined Havas in August 2018 as head of experience strategy from Ogilvy UK, where he was head of experience planning. Havas Media Group has hired Wavemaker general manager Ailsa Buckley as deputy managing director to bolster its senior leadership line-up. In the newly created position, Buckley will oversee Havas Media Group's Hyundai and Axa accounts and will report to managing director Stephanie Marks. Leo Burnett's Zoe Crowther has joined Red Brick Road as its first managing partner. Crowther has been marketing and new business director at Leo Burnett since 2015 and was on the management team. During her tenure, the agency won accounts including Betfair, Butlin’s and Kingfisher. MC&C has appointed Havas Media’s Rik Moore to the new role of head of insight, strategy and planning. Moore will report to Genevieve Tompkins, the chief strategy officer, and have oversight of the agency’s planning framework. Wavemaker has appointed Mu Ali as chief growth officer in a newly created position. Mu will focus on leading and generating strategic business growth for the Group M shop. He joined from Publicis Media, where he worked for the past three years as business development director for Blue449, Performics, Spark Foundry, Starcom and Zenith. Joe Tripodi has retired as chief marketing officer at Subway. He joined the sandwich chain in January 2016, after eight years as the top marketer at Coca-Cola. Subway has appointed Roger Mader, managing partner at strategic marketing agency The Ampersand Agency, as acting chief marketing officer and is searching for a permanent replacement. Arcadia has appointed Andy Harding as chief digital officer. He is a former chief customer officer at House of Fraser and Mothercare, and was most recently chief executive of stock photography company Alamy. He replaces Simon Pritchard, who left the business earlier this month after nine years. Out-of-home specialist Talon has promoted both Luke Willbourn and Amy Horton to the new role of chief client officer. Willbourn was previously group business director, while Horton was head of business development. Unlimited Group has appointed Nick Chiarelli to the new position of head of trends. He was previously client partner at Foresight Factory. This week, Unlimited announced a strategic alliance with Germant's Serviceplan Group and Japan's Hakuhodo Group. Lotus Cars has appointed Simon Clare as global marketing director. He was previously marketing director at yacht company Sunseeker and, before that, was global brand manager at Jaguar Land Rover. Jaie Genadt has been appointed by Momentum Worldwide to the newly created role of UK chief technology officer. He was formerly managing and technical director at innovation studio Immersive, where he worked with sensory technology, holographic computing, AR, VR and digital display to drive brand performance. Influencer marketing agency Billion Dollar Boy has appointed Kathy Dover as its first director of client services. Dover was previously a marketer on Garnier and Maybelline at L'Oréal and has been a freelance marketing consultant since January 2018.